Regular intake of lecithin, is recommended to people who exercise or work hard physically, because it supports blood circulation and proper functioning of joints. Take 1-2 softgels daily, or as directed. Il nostro organismo non produce calcio e magnesio, ma queste sostanze minerali sono indispensabili per mantenere la salute della struttura delle ossa e i denti sani, e per assicurare il funzionamento normale dei muscoli. Le capsule Strong Bones contengono questi due micronutrienti in proporzione 2:1, la proporzione migliore per l’assorbimento, si aggiungono così alla nostra salute. Lecithin contributes to the proper functioning of our vital processes and it promotes our health. It is a natural substance that can be found in our body. Among others, it is a component of cell membrane and proteins. 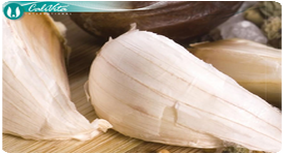 It plays a role in the functioning of the nervous system and supports the maintenance of a normal cholesterol level. Studies have indicated that high serum levels of the amino acid derivative homocysteine appears to be a major risk factor for cardiovascular disease. Studies have indicated that certain vitamins such as B6, B12, and folic acid help support a reduction in serum homocysteine levels. Choline performs an important supporting role in such action by transferring methyl groups hydrocarbons to the vitamins, which is needed in order for them to function. Due to its high choline content, lecithin may provide excellent nutritional support for a healthy cardiovascular system. Aside from its supporting role in fat metabolism and cardiovascular function, choline is a precursor to the neurotransmitting hormone acetylcholine. Research suggests that cognition, intelligence, memory and mood are regulated in part by acetylcholine metabolism in the brain. 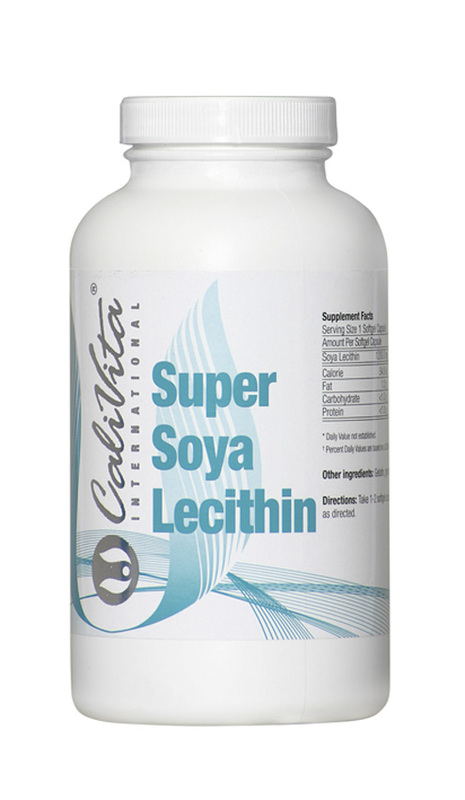 CaliVita® Super Soya Lecithin, and Triple Potency Lecithin are derived from the highest quality non-GMO soybeans.